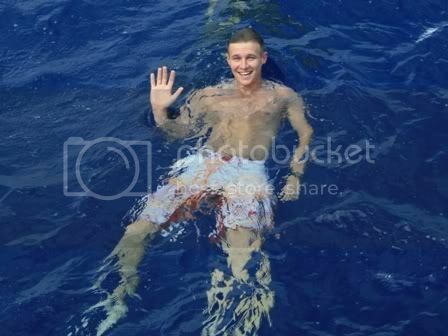 While in the Mediterranean in June RUSSELL took the opportunity to hold a swim call in one of the best possible locations. Here are some of the sights on that Sunday. 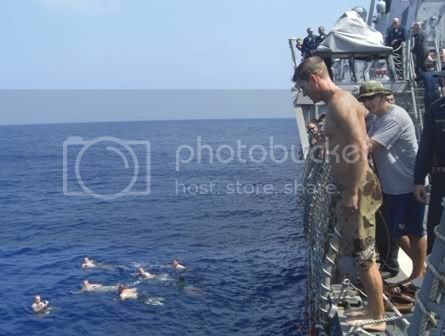 A Sailor prepares to jump in. A sea of strange fish. 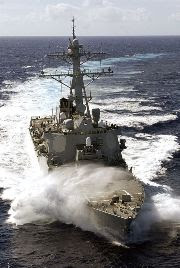 We did a steel beach in the Bahama's once from USS Stonewall Jackson, it was during our first patrol after instituting and on board smoking ban. 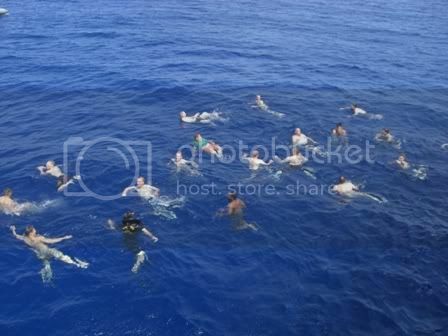 I still laugh at the thought of fifteen of our sailors swimming in a circle passing cigarettes around. Smoking "off" the ship was still permitted!